16ft premium black snclosure for 490 trampoline. Complete safety enclosure for round 16ft trampoline. 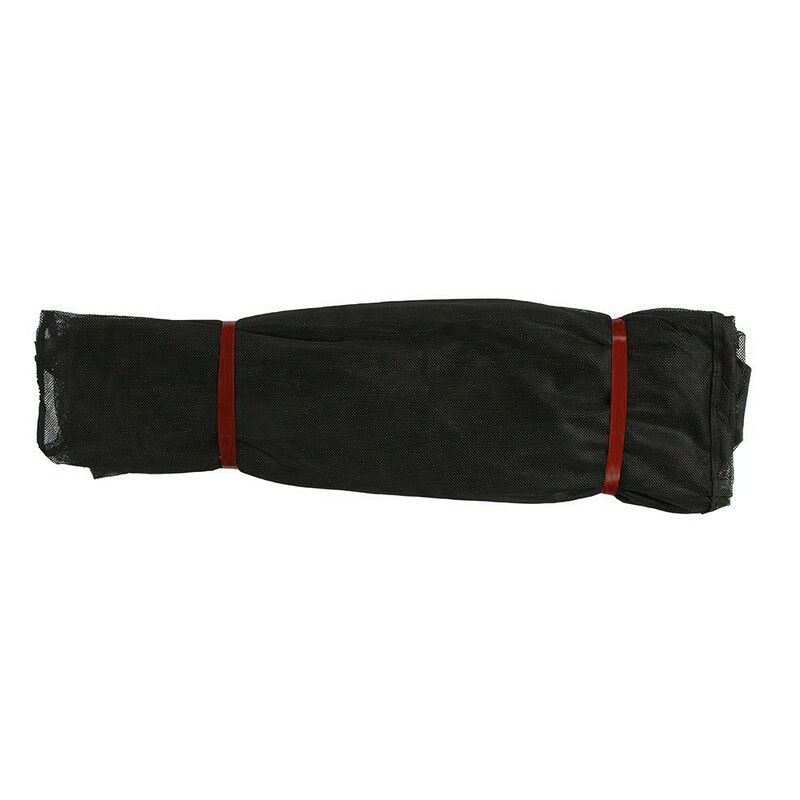 This pack includes the netting, net posts and protective sleeves. 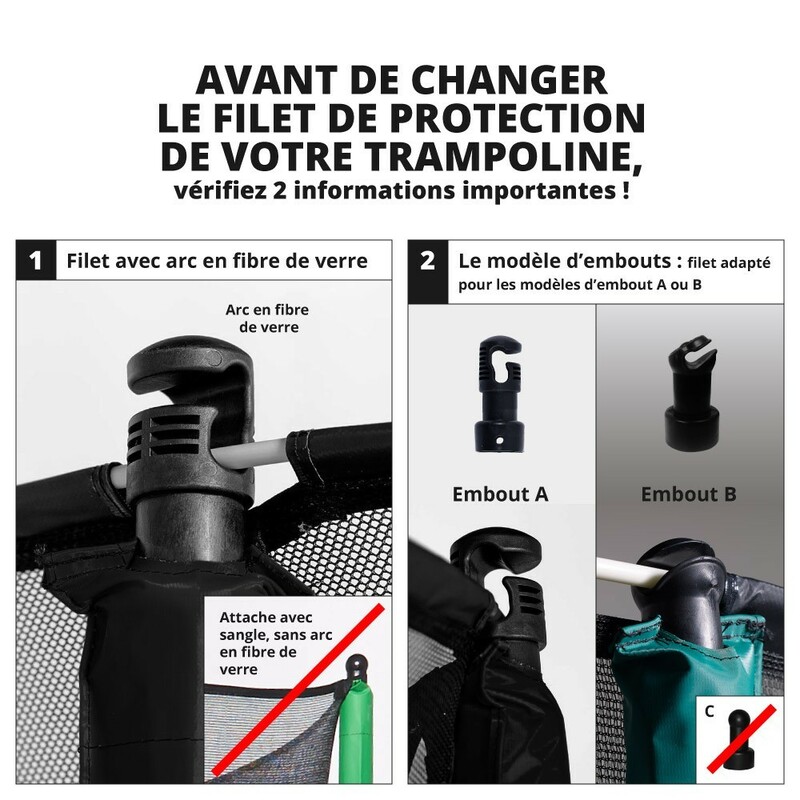 The enclosure is an essential safety equipment on a trampoline. This premium black safety enclosure will allow you to replace your old damaged one without having to change your trampoline. 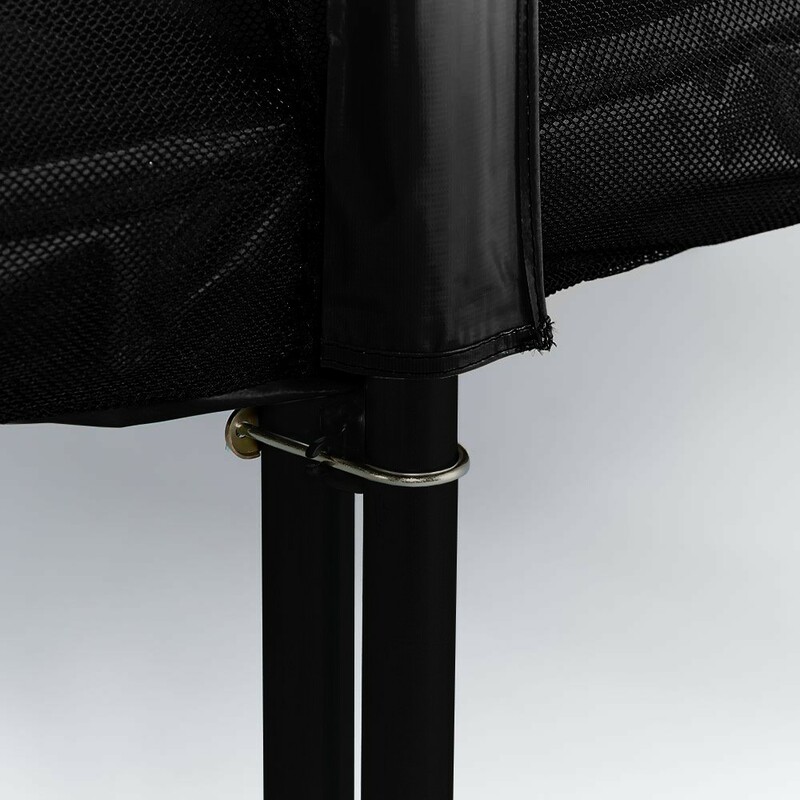 This enclosure is sold with net posts, protective sleeves, brackets and fibreglass rods. 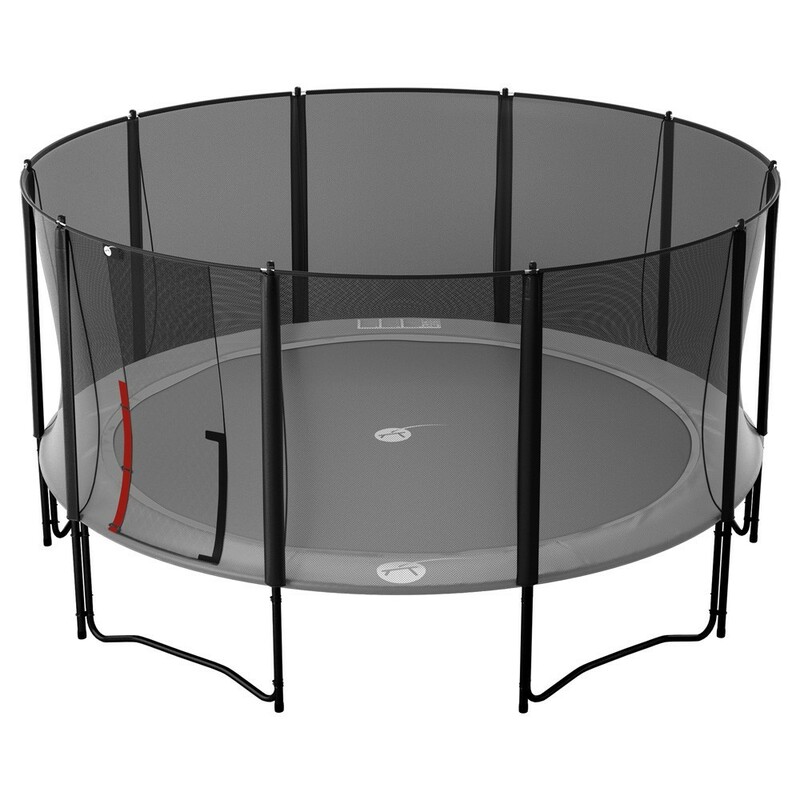 - Designed to protect round 16ft trampoline equipped with 5 feet, this premium safety enclosure is provided with our black Booster 490 trampoline. 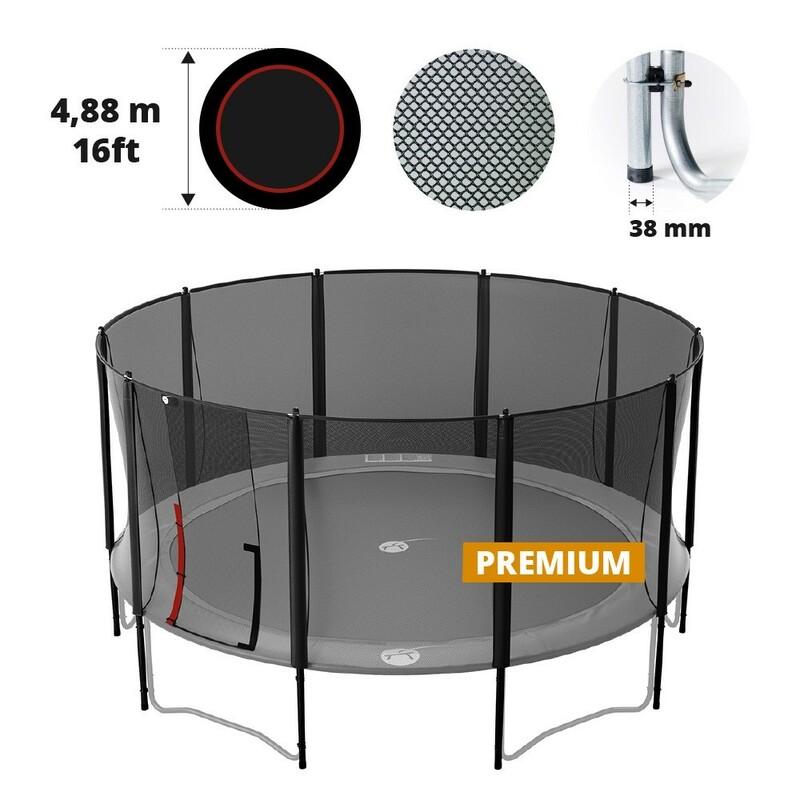 It is also compatible with trampolines from other brands. - Guaranteed stability and solidity thanks to 10, 2.69 m high net posts that stand directly on the ground. Each post is made from 1.5 mm thick and 38 mm wide galvanized steel tubes, resistant to corrosion. - Jump in a secure environment! The height of the net allows to protect children and adults. 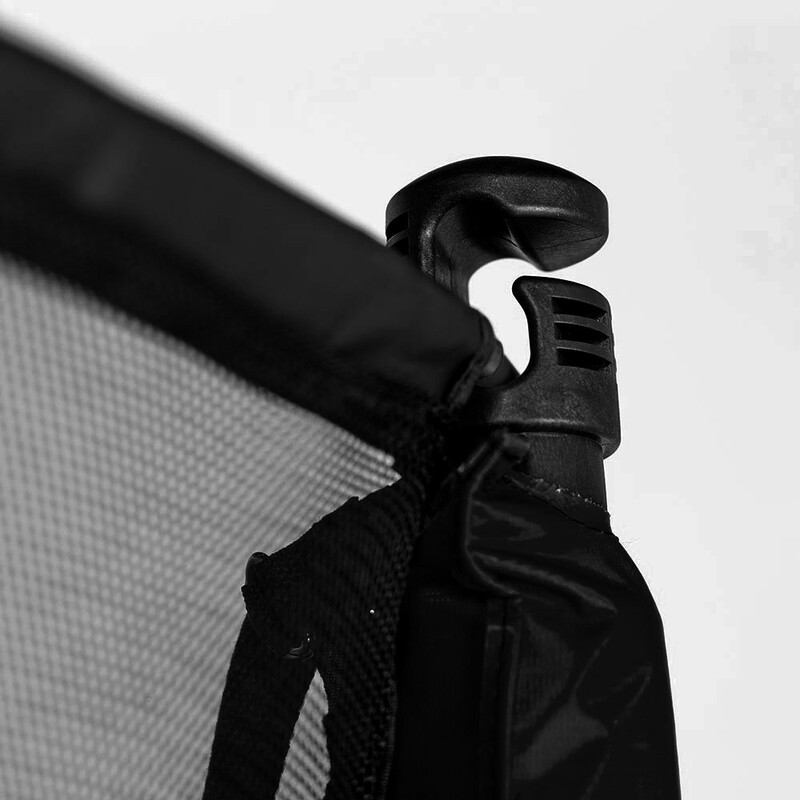 Black PVC protective sleeves and 10 mm thick foam are also provided with the net posts to absorb any shocks. 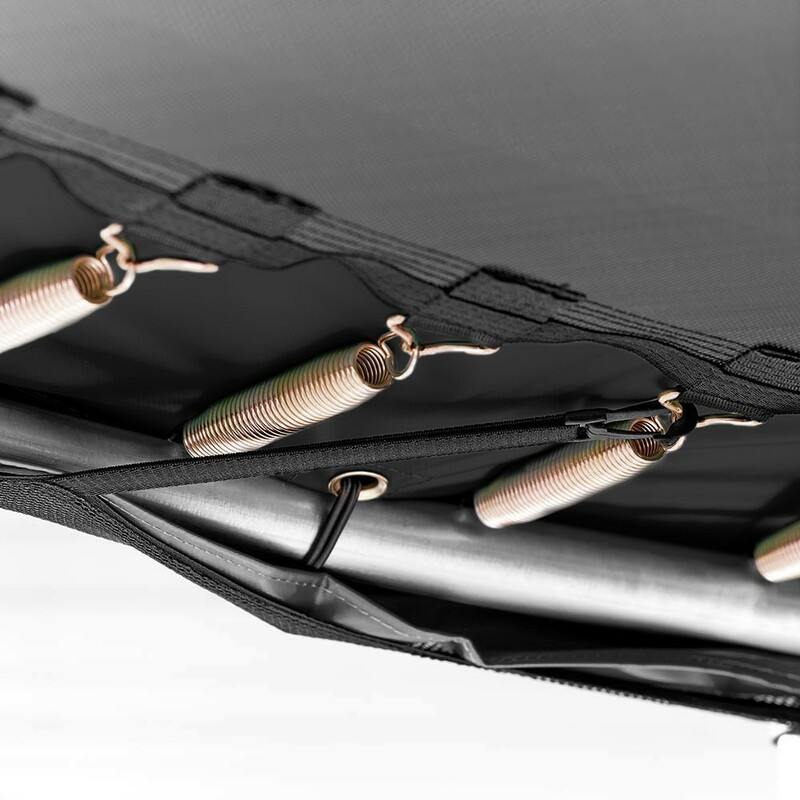 - Soft and resistant netting stretched thanks to fibreglass rods situated on the top part of the net. 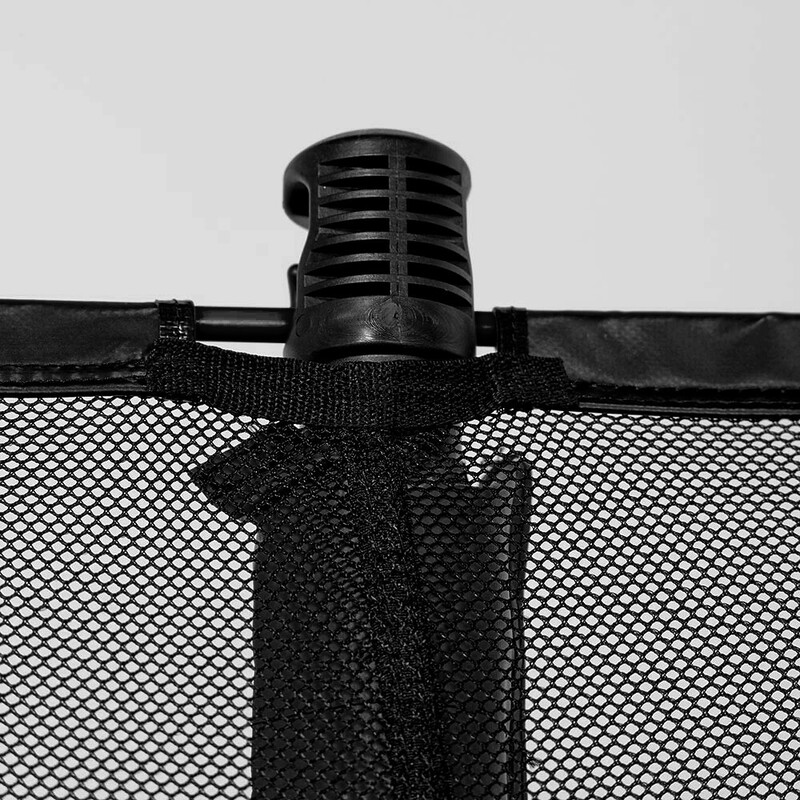 Made with fine polyester netting, it allows to retain any jumps outside of the trampoline jumping area. 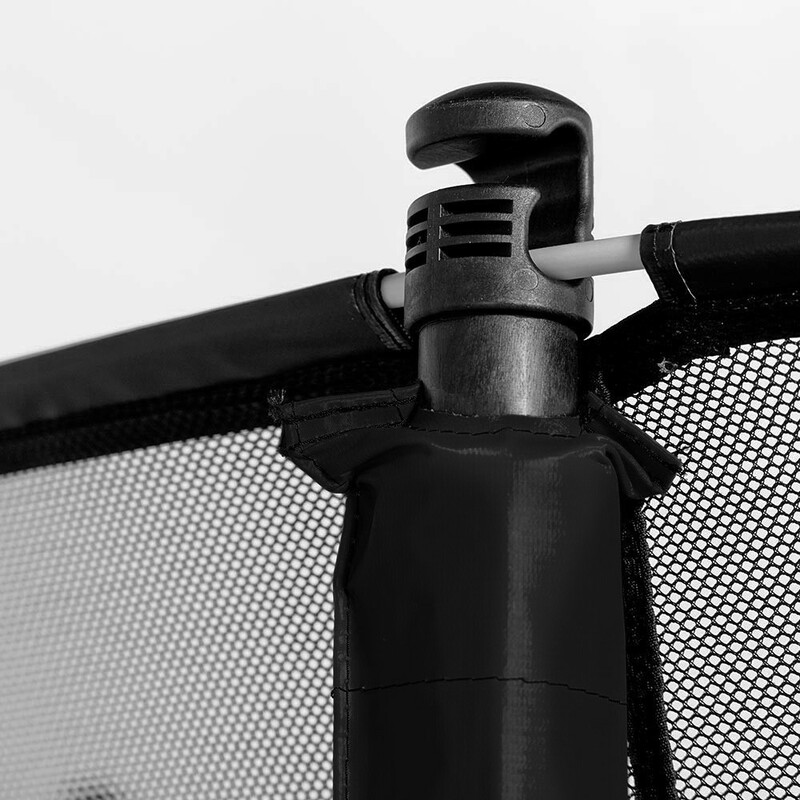 We privilege a fixation system underneath the trampoline structure to avoid any risk or falling between the net and the frame pad. Access to the trampoline is made possible thanks to an overlapping entrance, closed with Velcro strips and snap hooks.